The Penang State Government will be holding an open house in conjunction with the Chap Goh Meh Celebration at Esplanade this Sunday (last day of Chinese New Year). 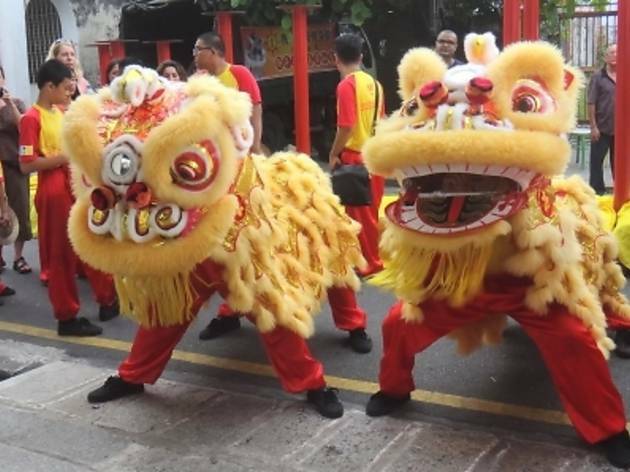 The night will open at 6pm with a Chingay, Lion and Dragon Dance performances, ‘Dondang Sayang’, and the tossing of mandarin oranges led by Chief Minister, YAB Mr Lim Guan Eng. At 8pm to 9.30pm, free food is served with a choice of Halal food as well. There will also be 12 stalls selling snacks, desserts and Penang hawker food throughout the night. The traditional and modern performances such as the Chinese ‘24 Drums’, dance performances, singing performances, ‘Wu Shu’, Malay, Chinese and Indian cultural shows begin at 8:20pm. A smaller stage close to the City Hall will showcase Peranakan performances from 7:30pm. At 8:30pm there will be a special Kebaya Competition, open to women of all ages regardless of background. The highlight of the Peranakan stage is a special performance from world renowned theather group, My Wayang from Singaproe. 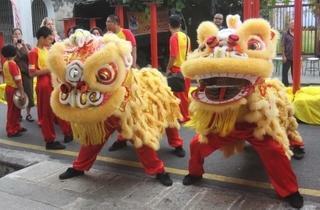 Another highlight of the night is the lion dance on stilts performed by four lions simultaneously. Finally there will be a ten minute fireworks display at 11pm to end the festive night.